There are multiple ways to make money with tube submits. The basic concept is to submit the sponsor videos to tubes and get traffic/sales using the watermark and using the backlinks (sometimes banners also) placed under the video. The best part about tube video submitting is that we don’t need any fancy hosting, because the videos will be hosted on the tubes and the traffic you will burn is absolutely minimal! So as with any promotion the first thing we need to do is to choose the sponsor or sponsors and contact them. We need to contact them because we want to edit their videos and not every sponsor is okay with that. – Always contact your sponsor: don’t try to watermark their videos without asking! Tube submitting is a long term business, I still receive sales from 2-3 year old submits! – Don’t overdo the watermarking: put only ‘stylish’ watermarks on your videos, otherwise the tubes may not list you! – Write meaningful titles and descriptions: as you may already know, search engines love tubes; a little SEO can rank you higher! Tube Sites Submitter – our main tool, you can automatically create profiles and you can automatically submit videos to tubes. Some tubes require manual attention (around 5%). Windows Movie Maker, Video Charge, Sony Vegas… – a video editing software of your choice. You can find free and also paid ones on the internet. As you can see most of the software is free of charge and the amount for the paid one can be covered by only one PPS sale. First you need to know that I’ve created the videos using the third option, so by removing the original watermark and adding a watermark to my own domain where the copy of the tour page can be found with a little tweak: I’ve removed the WMV trailers from the tour, so only thumbnails and episode text is available for the surfer. This way the ratios are better and you can also save a lot of bandwidth. And finally the join links will lead the surfer to the original join page. Let’s see some numbers. I’ve tracked my progress for 31 days (December). The traffic varies, the reason for this is that most of the tubes don’t list the videos right away and some of the tubes won’t list your video on the first page, but you will still receive traffic from these sites if you properly optimize your titles and descriptions (surfers love to use the search function, not like webmasters J ). 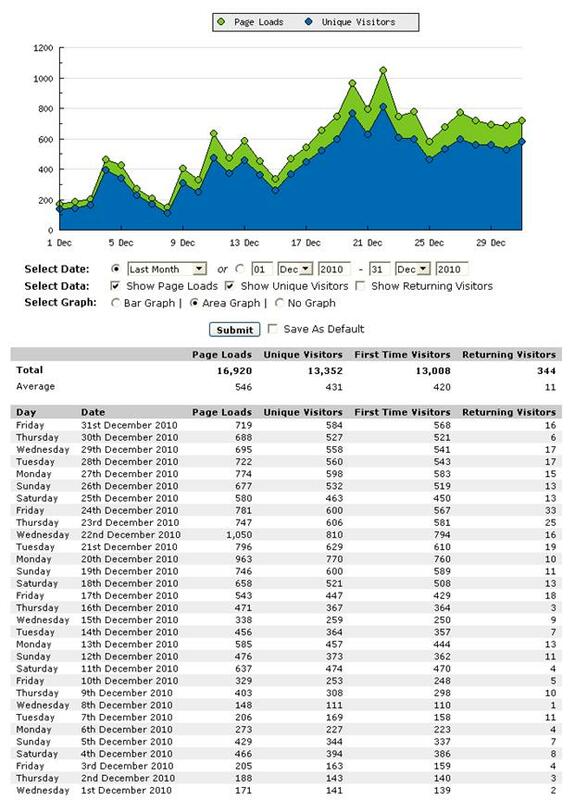 But as you can see the traffic is rising and the site gets more then 500+ unique daily only from video submits! Okay so we got traffic from so called ‘high quality’ countries. But are these people buying anything? Yes they are! Just check out the following screenshot from Nifty Stats. I’ve tried two different join pages – one with trial and one without trial. After two weeks of testing I’ve switched back to the non-trial & non-recurring join page from the trial join page. It is the most profitable option in the long run (the member area isn’t updated anymore so there is no reason for the surfers to renew). As you can see I’ve made 3 sales on the fourth day which is an excellent result, not talking about the constant sales after this day (with some exceptions). Exclusive advertising space on Tube Sites Submitter! 1) am I able to submit freehosted tube videos from one of my sponsers without having my own website? 2) is there a smaple version of the tube submitter I can download to get an idea of how it works? 1) You don’t need to have a website because you don’t host the videos. However if you want type-in traffic then it’s good to have your own domain/subdomain (for redirection)! 2) There are tutorial videos available here also if I’m correct a demo version will be released (but don’t ask when). However the tutorial videos should give you a feel about how it works..
What’s the best way to encode video? To Restman: The video settings vary a lot and it’s hard to find the right balance. Some tubes love long videos, but some don’t. This goes for the video size also. Also its very niche specific. Amateur/homemade tubes are ok with low quality vids but pornstar tubes don’t. To RestMan: On the video page at the software you have a ‘Site Information’ part with a ‘Site URL’ box.. There you should enter the url… many tubes don’t allow a backlink but many do and google loves those backlinks! there’s no proof this will increase traffic or earnings without the real ability to actually click through the video or backlinks via a real tracking code. to assume people will type in the watermark they see is ridiculous. if you actually do get any traffic, it will be very little. most surfers will do what’s easier – click the next video. this program is also worthless if it cannot add a watermark for you. This makes sense. I like the concept. can you give me list of sponsors that allow watermark alteration? thanks! are these stats generated by 20 movies submitted once or 20 movies daily? that ccover the same topics? Many thanks! You can always make good money from tube sites. Proper knowledge and perfect execution is very important to make it work. Thanks a sharing these methods, Really appreciate it. I am interested in your software because I also want to start promoting my tube website using video uploads. Thanks for the informative very precise.